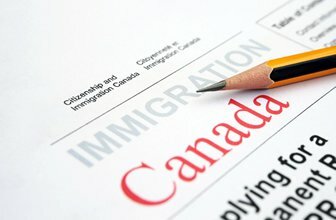 Our Immigration Lawyers are uniquely experienced in Canadian and USA Immigration Law. If it is your goal to live and/or work permanently or temporarily in Canada, the Immigration and Citizenship Lawyers at Rogerson Law Group offers extensive expertise on a wide range of issues. We understand first-hand how complicated and stressful the immigration process can be. Because some of our Immigration Lawyers have been through the immigration process themselves. This translates into the most accurate and sympathetic advice and representation for our client needs. Are you looking to immigrate to Canada as a worker? We can advise you on the different categories under which you might qualify. Are you looking to visit Canada? We can advise you on the different categories under which you might qualify. Are you looking to sponsor your spouse, common law partner or child/children or family members to come to Canada? We can advise you on whether you might qualify to bring your family members to Canada. Are you looking to come to Canada to study? Find out if you need Study Permit in order to study in Canada. Are you a Canadian business owner and employer seeing to recruit workers from abroad? We can advise you on how the immigration rules affect your business and what you need to do in order to bring a foreign worker to Canada. Has your Visitor’s Visa, Study Permit, Work Permit, PR Visa application or LMIA been rejected? If so, consider speaking to one of our Immigration Lawyers. We can help put forward a cogent and powerful appeal to Immigration, Refugees, and Citizenship Canada, the Immigration Appeal Division (IAD), and/or to the Federal Court. Immigration Appeal Lawyer – Has Your Visa Been Rejected? Residency Obligation Appeals – If a permanent resident is outside Canada and a visa officer finds that he or she has not met this residency obligation, the person may lose permanent resident status. In each case, you need to contact us as soon as possible and fax or email us a pdf copy of relevant correspondence from the authorities, we will reply immediately, to fix an appointment to start work on your immigration appeal. Residency appeals must be filed within 60 days of the decision. Sponsorship appeals have to be filed within 30 days of receipt of the refusal letter. Removal Order appeals must be filed within 30 days of receipt of the removal order. It is important to act quickly on all immigration appeals. In all cases, it will be our aim to keep you in Canada until your appeal is heard. In Federal Court we argue Immigration appeals on your behalf such a judicial review of refusal of a skilled worker application, or a decision of a citizenship judge to reject a citizenship application. These must be filed within 15 days. Very sadly, many mistakes are made in processing Immigration applications. Sometimes the fault is caused by incompetent preparation of an application by the applicant by him or herself, or by an Immigration Consultant, Education Consultant, or an inexperienced Lawyer or Paralegal. Sometimes the fault is of the government employee who processed the application. In all cases, it is important to get a second opinion from a law firm experienced in these fields. A good example of a successful application by Andrew Rogerson, on Humanitarian and Compassionate grounds, was the case of Sakkab in which our client ‘s permanent residence was revoked owing to the length of time she spent overseas obtaining treatment for a husband who had cancer and subsequently died. We were successful on this lady’s behalf. A copy of the judgement is available on this link. Our Immigration lawyers provide our clients with regular updates on their case, recognising the need for clients to know what is going on at all stages of an application or appeal. As a firm, we encourage and maintain communication (at no extra cost) throughout the process. Our advice is tailored to each client’s unique needs and interests. Immigration advice and representation is not a ‘one size fits all’ service. We get to know our clients before advising the best course of action and delivering the service they need to accomplish their respective goals – in a cost-efficient and timely manner. Contact us now to consult an immigration lawyer in Toronto. Rogerson Law Group provides immigration services for clients abroad and in the entire GTA including Toronto, Scarborough, Mississauga, Vaughan, Brampton, Richmond Hill, Etobicoke, Barrie and other area. Our offices are conveniently located in downtown Toronto, Barrie.